There is a lot going on at LinkedIn lately. This business networking oriented social platform isn’t the sexiest social site around, but if you have a professional life you want to be there. Make sure your personal profile is complete and great. This is where people will decide if they want to connect with you or do business with you. You can control the order that information modules are presented on your profile page. If you have a business, you also need a complete business page. Spend time and poke around – there are a lot of things that you can do on a business page and most businesses don’t take advantage. Once set up, your business page doesn’t need a lot of regular attention. LinkedIn is rolling out updates server by server. Among them is a Notifications tab that gets high ratings from user that have it. 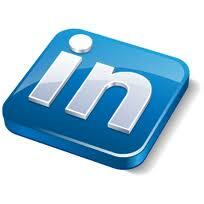 All of this is important IF LinkedIn is a good tool for your strategy. That means you need to have a strategy! You won’t be effective on any social media site if you don’t have a plan and know your goals. And, make sure that it is easy for people to share the great things you are doing online. Your website should always be an important part of the mix, and making social sharing easy there is critical. Great tools for this are ShareThis and AddThis. Finally, the folks at Hubspot who seem to be on top of all things marketing have already put out a guide on how to take the best advantage of the new LinkedIn company pages features: http://offers.hubspot.com/step-by-step-guide-to-linkedins-new-company-pages Worth a read.